In this section of Progressive Java course will show you how to use the serve and return statement in methods. Although you can not return anything from methods (such as simply display a message or a menu of options, as we did in the last article), the most common is that the methods return something. 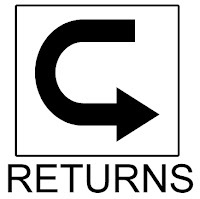 Return meaning a result. For example, a sum. The method can be simply a piece of code that calculates the sum of two numbers and returns the result. Or it can be a method that receives the coefficients of a quadratic equation and returns its roots. The return can be an integer, a float, a string, may simply be a decision (as a boolean) or something more elaborate you want. But as I said, and again I repeat, create simple methods and the most specific. Do not create methods that do a thousand things. Instead, create one thousand methods, where each does one thing well determined. This is important for you to organize, not to lose power and reuse their code in future. In the example of the last article where we create a method that simply showing a message on the screen, he did not return anything. This could be seen by a detail in the method declaration, the 'void'. To return an integer, we use 'int'. For example, let's create a method that returns a value of '1 +1'. And now, how we use this int return? Since the method returns an integer, you can see this method as a int number. That is, you can print, add with another integer, with a float, or simply assign an integer type. We must declare the method as 'public static float sum()' or we get an error. Again, you could have declared a variable of type String to receive the 'return'. So far our methods are not flexible, because always print and return the same thing. That will change when you learn how the method is used in real programs, through arguments and parameters, which will be the subject of the next article in our online Progressive Java course.